Kurt Busch, well-known as the driver of the No. 41 Monster Energy/Haas Automation Ford Fusion in the Monster Energy NASCAR Cup Series, is an avid Ford GT owner. The pro stock car racing driver has a 2005 example, presented to him by Edsel Ford II himself on the occasion of his winning the NASCAR Cup championship in 2004, and he’s one of a few lucky gearheads who was allowed by Ford to purchase one of the new, 647-horsepower supercars. So far, Busch seems to be enjoying the ownership experience. Last month, he assembled a team to drive the car in the annual Gold Rush Rally, which kicked off on June 22nd in Boston before heading west to New York, Pittsburgh, and Detroit, and then heading south to St. Louis, Memphis, Dallas, Albuquerque, Scottsdale, and Las Vegas. Because his NASCAR duties kept him from participating in the full route, he had friends Bill Goldberg of the WWE and Ronnie “the Limo Driver” Mund of the Howard Stern Show take stints to complete the journey. 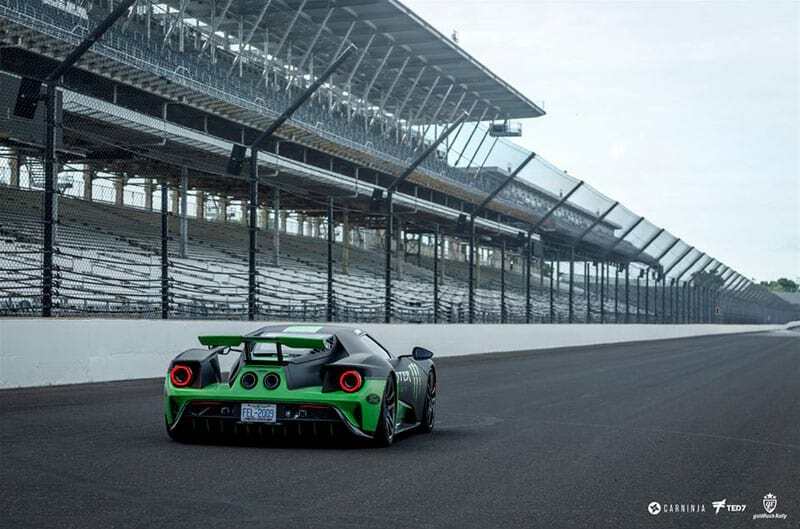 The car’s original paintwork wasn’t on display during the 2018 Gold Rush Rally, however; for the event, Busch commissioned a custom wrap in matte black with bright green stripes. The number 41 was printed on the sides of the car, and big Ford and Monster Energy logos were featured. As so good “I love cars and to be able to drive a supercar built by Ford Motor Company daily, or when I get a chance during the week is a privilege,” Busch said of his 2018 Ford GT, which is painted Liquid Gray with orange racing stripes. “It’s a special treat to have that car.”. A powerful car, no that’s unmistakable one of the racing cars in the future.